Close your eyes. When I say “Welding”, what’s conjured up into your brain. Maybe a construction site with sparks flying around or a couple steel plates being tack welded. How about Tom Hardy running from a gang of road-raged mutants on a Hollywood set? Probably not. But did you know just how much welding is done in Hollywood and in the entertainment industry in general? Films devote huge sums of money to their prop budgets, often for one-of-a-kind objects that have to be created rather than bought. The entertainment industry employs welders to make everything from futuristic shotguns with three barrels to automobiles that can withstand a deathly jump over the Grand Canyon. Films set in the olden days need plenty of accomplished welders to help build props like swords or crossbows. Have you ever heard of pattern welding? It’s a sword making technique where the welder forge-welds several different pieces of metal together to form a blade. 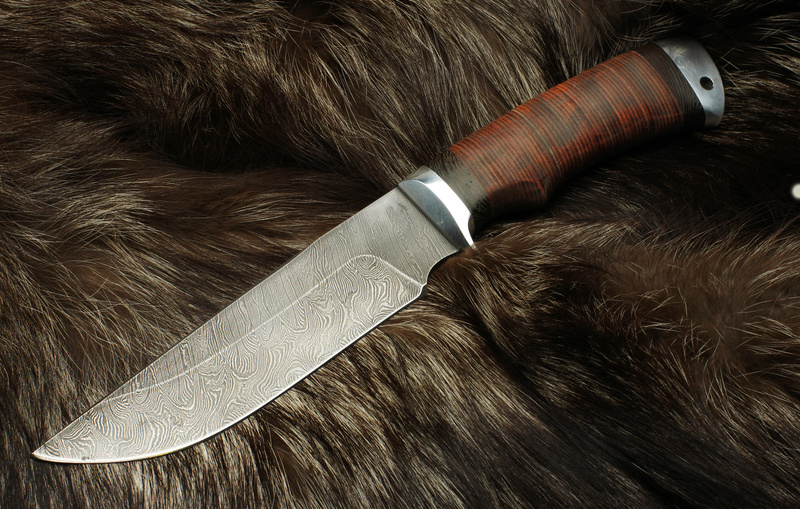 This means the blade is composed of diverse materials, and so it has an interesting pattern. This gives it just the right look for any film where swords are needed. These blades are both hard and tough, resisting chipping while staying flexible. Metal like this can withstand a lot of abuse, which is good when a scene has to be filmed over and over again. The entertainment industry requires a lot of aluminum welding. The reason: it’s cheap yet versatile. With the right finish, aluminum can pass for a number of different metals. That’s great when props and sets need to look like the real thing. This means prop welders are expected to use aluminum but make a final product that looks like it’s actually made of steel or chrome. For instance, if you ever see mechanical frames, bank vault doors, futuristic metallic sets or metal cages in a movie, they’re most likely made out of aluminum. Welders aren’t just expected to create props and sets. They also do a lot of the structural work that plays a vital role behind the camera. Look at films like Mad Max or Fast and Furious. There are hundreds of cars in each of these films, and each one needed to be altered so it would work with the camera. This could mean tweaking a chassis to make an old car go faster, or cutting a hole in the roof so a camera can film the driver from above. You could be building cars with easily-removable doors or redesigning motorcycle frames to look like the bike is hovering. In Mad Max: Fury Road, welders were needed to convert modern motorcycles into stripped-down war machines, with desert weathering and a general post-apocalyptic look. When it comes to welding sets, these structures only need to be up as long as production lasts. What’s most important is how the sets look, not how durable they are. Most sets will be torn down after a couple months or even a few days. Much like any type of artistic welding, it only has to look nice where it’ll be seen. For example, the set for a theatrical play only needs to look good from the front row seats as that’s the closest the audience will ever be. Often the front of the set looks incredible, while the back appears to be a tangled mess of roughly welded metal bars and 2x4s. If you have any skills in carpentry or plastering in addition to welding, you may be the ideal set builder. A lot of theatrical projects use TIG welding based on its precision ability. 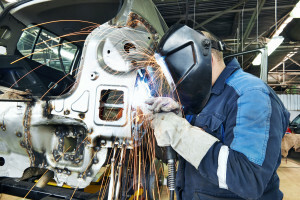 However, many jobs can be done with MIG or stick welding as well. A good knowledge of cutting is also invaluable. 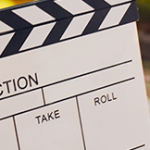 In theatre and film, the main idea is to do everything in the most cost efficient way while still making it look good. These props and sets don’t have to last longer than the length of the production but they do need to look perfect while they’re in front of the camera. And if you’re wondering how creative you can get with projects, many directors welcome a bit of personal touch. If you’re further interested in skills needed for welding in the entertainment industry, check out our post on welding aluminum or the differences between plasma cutting and Oxy Acetylene.